Air Tractor, Inc. is proud to announce its expansion into the field of unmanned aerial systems. The recent acquisition of Hangar 78 UAV, and its flagship aircraft, the Yield Defender unmanned aerial system (UAS) will create the foundation of Air Tractor’s development and visionary integration of unmanned technology to complement its core agricultural and firefighting aircraft lines. “We have done our research, and it’s clear that aggressively investing and further developing unmanned aerial systems into agriculture will enable Air Tractor to remain an industry leader and provide the latest technology to ag producers as UAS capabilities mature and are integrated into the industry,” said Jim Hirsch, President of Air Tractor. In tandem with the purchase, former Hangar 78UAV Managing Partner, Wes Hall has been appointed to Vice President of UAS Technologies to lead integration and further development for Yield Defender. “We are very passionate about the vision and extremely proud to join the Air Tractor family,” said Wes Hall, VP of UAS Technologies. Yield Defender offers true turnkey solutions spanning multiple disciplines to provide customers product, service and data processing in the UAS sector. The Yield Defender provides immediate solutions and implementation of a broad spectrum of UAS capabilities to include, but not limited to mapping, analysis, and thermal imaging. 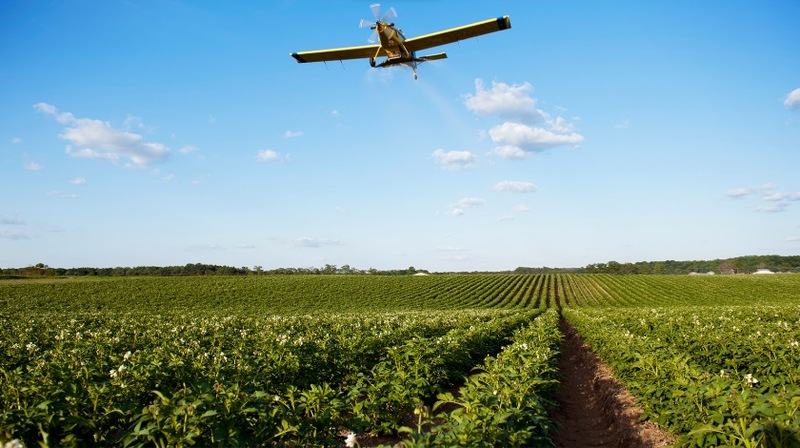 Air Tractor’s diversification and expansion of its product line will position the company to take advantage of the emerging UAS market and growth which are predicted to exceed $82US billion by 2025 (AUVSI Economic Report 2013). Yield Defender is an unmanned aerial system specifically engineered to serve the agriculture industry. The UAS is an impressively designed machine with onboard systems that maximize its capability and value to the industry. Sensors using Near Infrared (NIR), thermal imaging, and Light Detection and Ranging (LIDAR) technology integrated with CropVue web based flight management provide advanced analysis solutions. Manufacturing, research and development will be headquartered in Olney, Texas. At its Olney, Texas manufacturing facilities, Air Tractor produces a line of nine aircraft that includes 400, 500, 600 and 800-gallon capacity airplanes powered by Pratt & Whitney Canada PT6 turbine engines. They are used for agricultural purposes, fire fighting, narcotic crop eradication, fuel hauling, fighting locust plagues, and cleaning up oil spills in coastal waters. From North, South and Central America, to Australia, Indonesia and China to Spain, Italy, Croatia and Africa, Air Tractor aircraft can be found in more than 30 countries around the world and are supported by a global network of Air Tractor dealers.